Its a super thin walled aluminum frame, too thin to support a rider, then wrapped in carbon fiber. Aluminum fork and stays. The ride on this is magic. This thing absorbs road chatter like NOTHING I’ve ridden, it isolates you from the road and gives you a taught responsive ride. Honestly it’s like magic, it’s shod with NINETEEN MILLIMETER tires for crying out loud!! Its almost spooky. If you can find one of these you should give it a test ride. I put flats on for a sale to my buddy but he ended up deciding to pass, but I’ve kept them on. It’s a riot, like a street fightered motorcycle. All the response of a top tier race bike with a comfy upright position and it turns on a dime with all the leverage. A giggle machine. I bought a 8700 mountain bike in 91 and rode it seriously offroad until 2000. I also converted it to a touring bike in 1994 and toured across the country. I still have it to this day as my neighborhood cruiser. It was a nice riding bike, and still is. 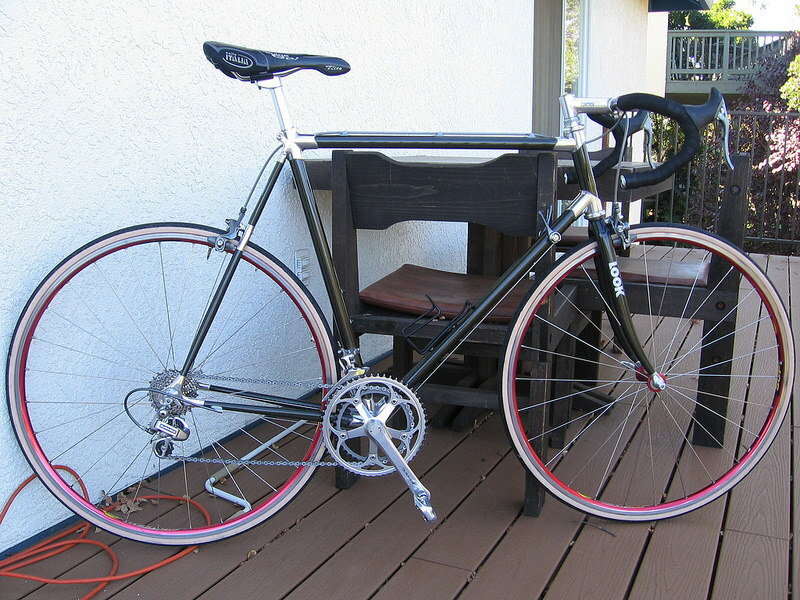 This may be an old thread but that Miyata carbontech 3000 is sweet. I wonder What the difference is between it and the carbontech 5000? the Centurion carbon is also aluminum wrapped in CF. I wonder how many others are as well. that seems to have been a very good method- I wonder more makers did not do that. LOL @RobbieTunes ! "2000. It's 2000 better." I would love to try one of those magic Miyata carbon models or really any one else's BUT they all chickened out at 60cm or 62cm. They never pumped those numbers up. They were rookie numbers! I can actually see the aluminum tube used in the seat tube when I looked down into it. I'll add my vote to those who are saying these frames are outdated and outclassed by the newer designs. I had the Specialized version, the Epic, and although it was light and not a terrible bike by any means, I wouldn't want another one. It makes sense. Carbon fiber was a new material for the bike industry back then so it took them a few years to learn how best to use it. And, I don't want to be rude, but I find it interesting that someone who found such a frame to be magic, like NOTHING they've ridden, was trying to sell it. Pretty simple, it’s a size 54cm so it’s too small by two sizes, and it doesn’t have eyelets for for fenders or racks. The ride is sublime, but I don’t have room for bikes that are too small and lack utility. I’m also going to be listing a Black Lightning for the same reasons, you can check the “what’s it worth” page and you’ll see I’ve got a thread about it started. That one is a 56cm bike, great ride, too small, and lacks utility. I'm gonna back up what ChrOmOly wrote. The Centurion carbon had the flexiest frame ever tested by Bicycling on their Tarantula tester. I have one of them, and it wears thin, hard Hi-Lite 20mm tires. I use it for fast rides out into the flatlands of Lincoln, where the road surface can be punishing. I have long wondered who in Japan made these for Centurion. Miyata would seem likely, they also used aluminum-core tubes, but their lugs, dropouts and bb shell are all very different from the Centurion's. The Specialized Epic was tested on the same apparatus and was found to be one of the very stiffest frames that they (Bicycling) had ever tested! I like these bikes as well, but I wouldn't call the ride plush (nor overly punishing) with 23mm tires. Last edited by dddd; 12-09-18 at 12:56 PM. Well, I shouldn't be generalizing and talking about bikes I've never ridden, so my apologies. That's very interesting about the Epic. I really came to hate that bike, so I guess it's made me irrational. I can't even explain it. Maybe mine was defective or something, or it didn't fit me right . . . or was haunted. 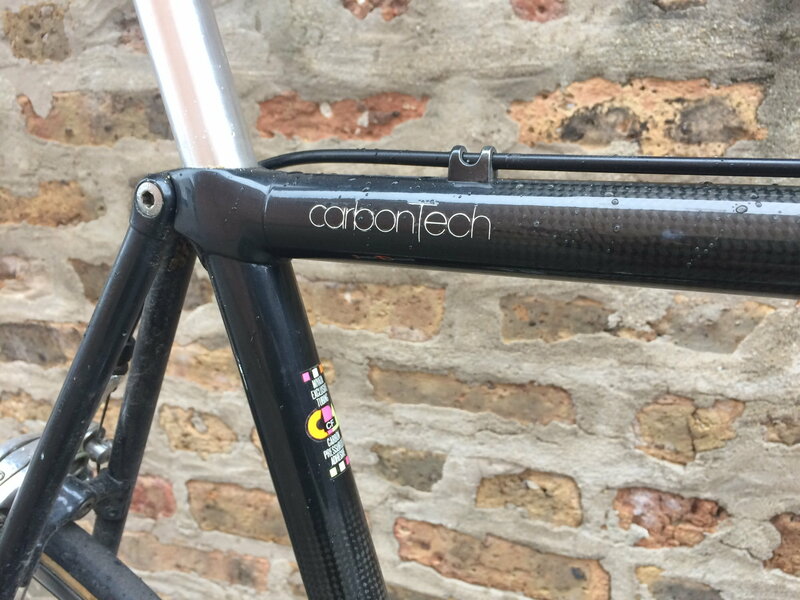 the technology itself is not bad - and it lasted a lot longer than people realize: here is an aluminum lugged carbon LOOK from 2008- the KG585 is one of the highest rated frames around. so 1972 to 2008 (probably later) is a pretty good run. someone must like them! 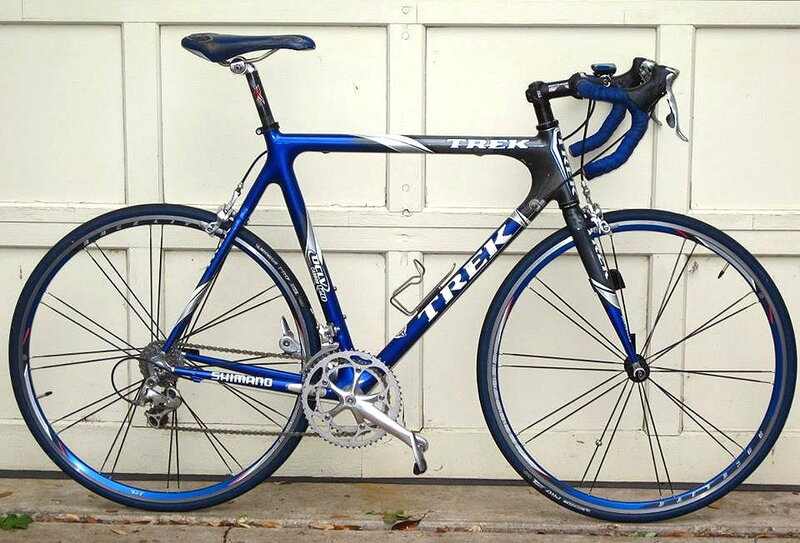 I have owned the Trek 2100 Composite, Giant Cadex 980c, Specialized Epic Sworks Carbon mountain bike, and a Miyata Carbotech mountain bike (still have this one). I have not found much of a difference in ride quality between steel and the carbon models I owned. 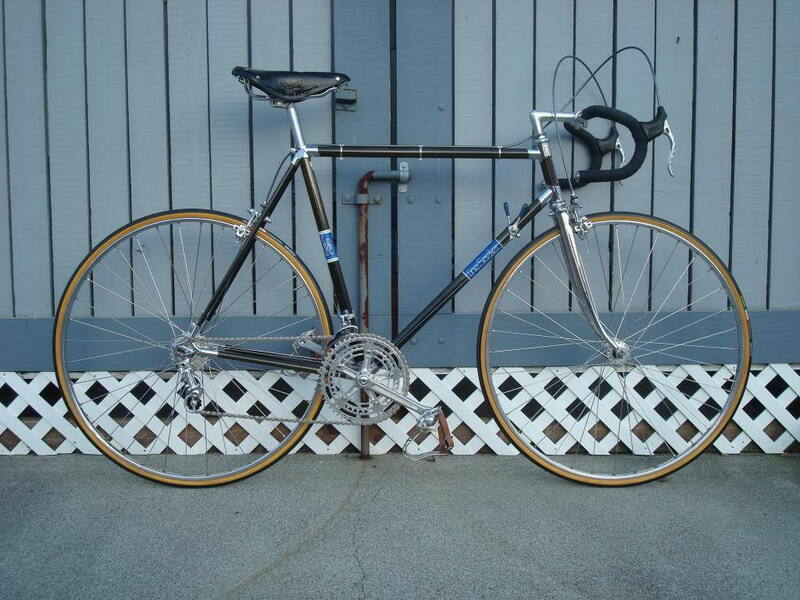 I did ride a Miyata Team Carbon several times and a Miyata Team Titanium once along with a 100 year anniversary model. The Team Titanium was a very soft and flexible ride when compared to the others or steel. That bike opened my eyes to frame flex and how much I really do like a flexible frame. As far as I know all the Miyata carbon road bikes shared the same main tubes. Rear triangles may had held some differences in chain stay length, but nothing else other than components after that. My first new Epic was a 58cm, and I really didn't like the handling in higher-speed cornering. Problem was that I always drifted in to the apex too early, so took the corner in two awkward stabs instead of a fluid curve. It made me very curious however, so I bought a 56cm Epic used, and installed a 1cm-longer stem. I then sold the 58cm bike because the handling problem with the 58cm bike didn't exist with the 56cm bike. I still have the 56cm bike, still wears 7s Command shifters working Superbe Pro derailers and 9s chain over a 7s Accushift freewheel. At one point I had the weight below 19lbs on a tight budget using a freehub wheelset with re-spaced SRP titanium cogset (and Araya CTL370 rims). It was the bike that got me up to speed in the road-biking world after I had been mountain bike racing for a couple of years. and currently ride a Centurion Carbon-R. I've also had several Kestrel 200 series models. The Trek was tight, light. And stiff as a board. The Epic was a bit more comfy, and a bit heavier. The large Ironman models were noodles, but very nice on long rides. The Carbon-R is 56cm, benefits from a reworked fork, and has the best mix of comfort, agility, and weight of the bunch. The milestone Kestrels were dull rides, but a friend of mine built one that blew me away. I have DA9000 on my Carbon-R, and if anyone thinks I'd blow that kind of coin on a poor frame, that would be erroneous. Last edited by RobbieTunes; 12-11-18 at 03:41 PM. This is interesting, too. And the more I think about it now, I bet there was something wrong with that frame--for me. I know so much more about bicycles now than I did then, and in retrospect I wish that I too could have taken some kind of scientific approach to trying to figure out what the problem was. What I did was hang it on my wall and stop riding a road bike, for years and years and years. 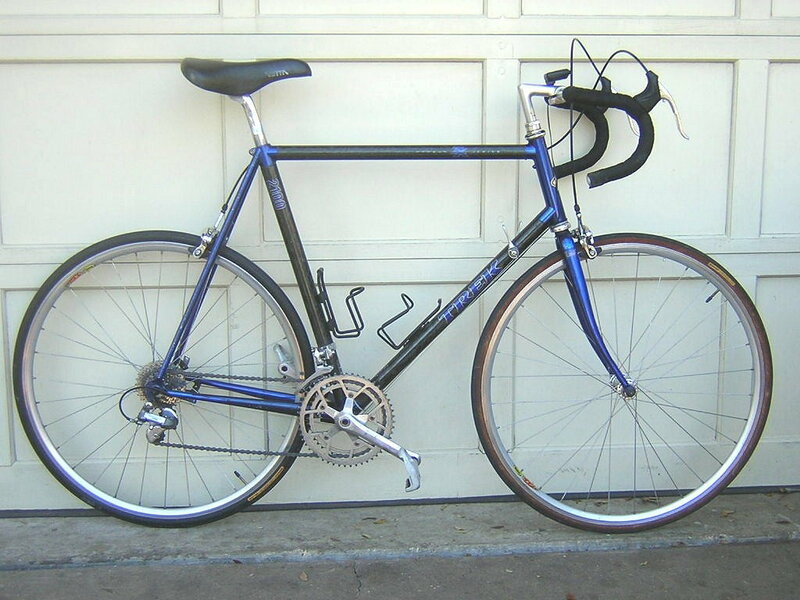 I had a Trek 8300 MTB in the early 90's (Suntour Microdrive), and replaced it with a Trek 8700 MTB in the mid 90's. I liked both bikes quite a bit. They were very light (low 20's lbs for an MTB), and did exactly what I asked them to do. The stiffness wasn't a problem for me, but I was in my late teens/early 20's. I don't think I ever had any cycling related pain at that age regardless of what I was doing, except for after crashes. Both bikes were sold long ago, and I wonder how they have held up over the past 20+ years. At the time our shop held the Trek company line that the "aerospace bonding adhesive" between the aluminum lugs and carbon tubes would never fail. I've got a 2120 that I want to offload. (My N is 3 I think.) Anyway in DC want one? It is as about light as my Tomassini but it has a triple, heavy pedals, etc. etc. I bet I could slim it down pretty drastically. It's an "interesting" ride. I think the "dead" comment is accurate. It just feels "meh". I don't dislike it, but I don't love it. Reminds me of a middle of the road alum frame I used to have. It just doesn't have the zippiness of my high end steel bikes or the butter of the ti bike. I've never really tried a full carbon bike and this was an affordable way for me to test it out. Unfortunately I also don't think this gave me an accurate feel for what a "true" carbon machine can feel like. One thing to realize about "dead" frames: wheels. Properly trued AND tensioned makes a heeyuuge! difference, Mr. Farley. 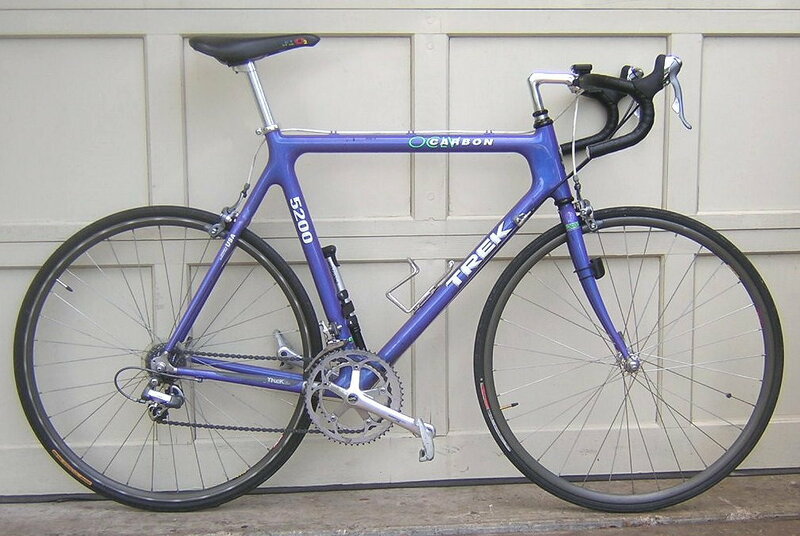 For example, I built a Kestrel 200SCi to 15.1 lbs, and it was very light, very stiff, and very, very dead. I built several others with varying components, and only one, with Easton EA90SLX wheels, felt anything like a "could be great" bike. 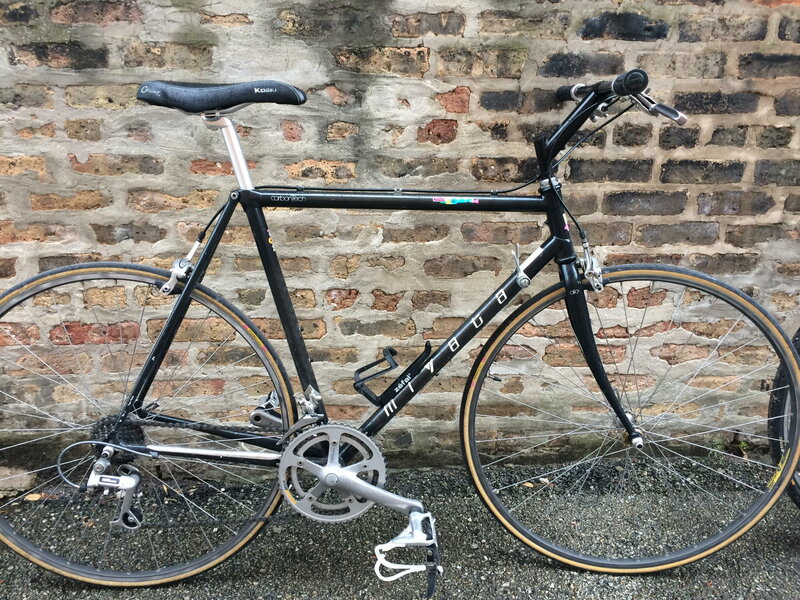 Then, a friend of mine took one of the Kestrel frames I no longer wanted (because it was "dead") and painted it, installed 9sp Ultegra, and American Classic Sprint 350 wheels. I don't know what it was, but that bike was freakish easy to ride fast. Synergy with a bike build is real. You just have to find it. I've stumbled across it, once in a rare while. Like the common trig problem, you approach it and approach it, but may never get there. A very happy accident when you get close. To confirm RobbieT's comment above, here's my story. Bid on a '92 5200 on ebay that had a "LOCAL BUYER ONLY" notice on it. It went for several hundred more than my top. A couple weeks later, I got a second chance notice from the seller with a big IF YOU'RE REALLY IN AUSTIN on it, because he had gotten several bidders that wanted him to ship it, and he wanted the buyer to ride it first. He had had it tuned up at the local big Trek dealer and they told him it was shot and he needed to buy a new one from them, He had bought a newer used one elsewhere. I rode it, and thought the tires were flat, but bought it anyway. Brought it home, and it turned out the spokes were as loose as rubber bands. So many bikes have unmaintained wheels - even ones that are "professionally maintained". My take is that the 5200 OCLV are a little buzzy and "hollow" feeling, but my 2004 is light as a feather. I've had a couple 2100's '96's and a 60 and a 58. 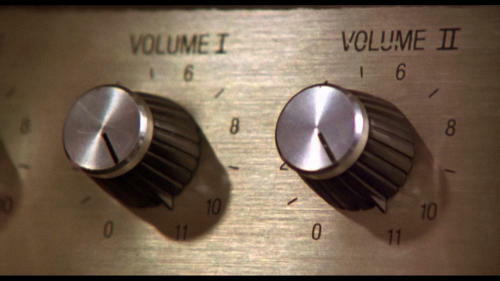 My take on those is that the three CF mains tune out the buzz that so many people find offensive in aluminum frames. I kept the 60 and sold the 58 - the "large" frame felt stiff but comfortable, while the slightly smaller frame just felt like a normal super stiff steel frame to me. Big, stiff and comfortable made it a great distance bike, and with the old components I put on it often got "nice restoration" comments! That was clear and concise. And dead on. Wheels and tires. I almost sold my Davidson Impulse because the 24mm Conti GP tires suffocated the yelling of the Tange Prestige frame and hand-built wheels saying "this is a great bike!" Somehow 23mm Vittoria Rubinos told me to try again, and now with Vuelta Corsa Lite wheels and Vittoria Open Corsa tires, I have been shown the light and that combo is NEVER leaving that bike. I'd love to try a 62cm carbon model of some variant of this era, but they are nearly unavailable, if ultimately too small for my height. :/ Dang it. Isn't it crazy how a bad set of tires ruins a good mojo? My take is: a good frame will shine once you put good wheels under it. But that takes agile, precise tires for granted. I've wasted a lot of money on clodhoppers. I used to think "tires is tires." Nope. Some are downright clumsy. I've also decided that some wheels are "right" with some frames, so setting down the right footprint is also included.